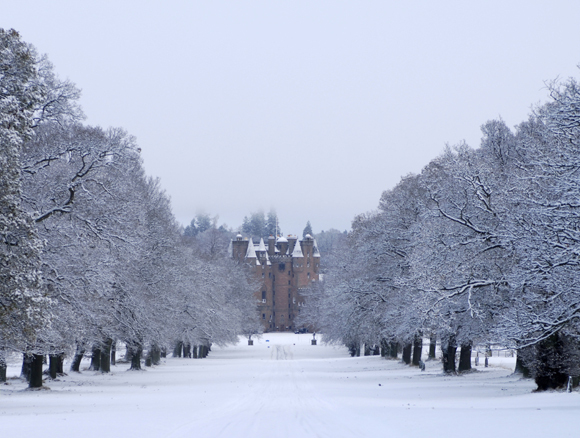 Strathmore Estates extend to some 14,000 acres and are situated in the Vale of Strathmore in Angus. 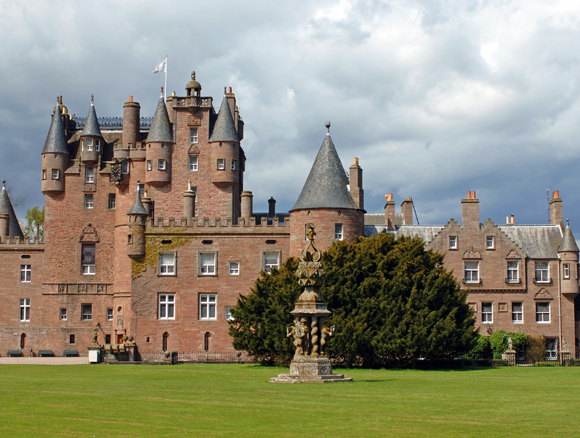 At the centre of the estate is the famous Glamis Castle, the ancestral home of the Earls of Strathmore for over 600 years. The present Earl is Simon Patrick Bowes-Lyon, 19th Earl of Strathmore and Kinghorne. The lands at Strathmore rise from the fertile valley floor to the heather clad Sidlaw hills to the south. Being located just 5 miles off the A90 and within 1.5 hours of both Edinburgh and Aberdeen airports the estate is easily accessible for national and international guests. 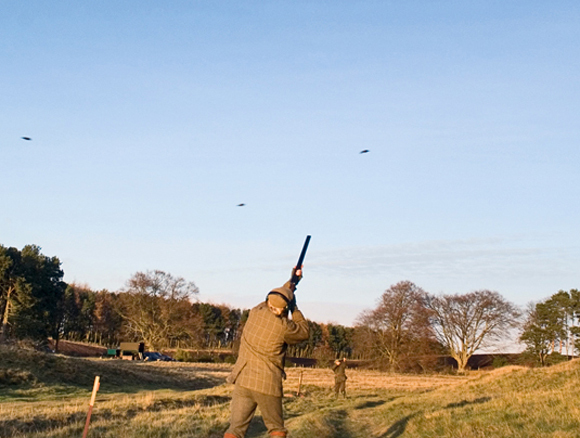 Shooting The estate offers both high quality driven pheasant and partridge shoots with bags of 150–300 being achieved. There are over 30 named drives across the estate with the most popular amongst guests being The Lera, The Cairns and Crams Point. The varied topography of the estate allows for a range of differing birds to be offered, with birds driven over deep woodland gulleys and off open heather hill. In addition, there are a number of ponds on the estate hosting duck throughout the season. Arniefoul pond provides challenging driven duck and a great end to a day’s shooting. Rough shooting is available on request. 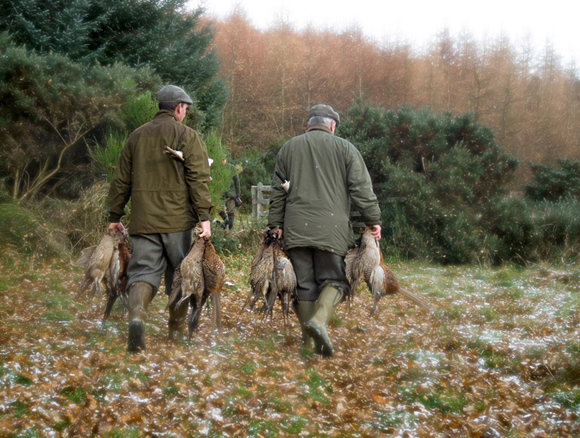 Roe Stalking Strathmore is renowned for consistently providing exciting roe stalking throughout the season with first class medal standard bucks on offer. The buck stalking has attracted guests from around the world for many years with most returning annually. Doe stalking is also available when in season. The stalking is accompanied by professional stalkers with 2 rifles being accommodated. The Castle is situated in the heart of the estate and set within landscaped grounds and gardens. The childhood home of HRH Queen Elizabeth The Queen Mother and the setting for Shakespeare’s Macbeth, the castle is steeped in history and tradition. During shoot days the guns are met at the front door and provided with tea and coffee in the 16th Century Castle Kitchens, where lunch and afternoon tea are also provided later in the day. 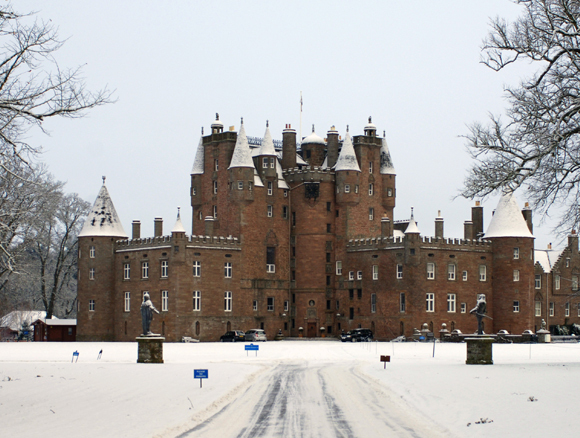 Included in a day’s shooting is a 45-minute guided tour of the castle should guests wish.